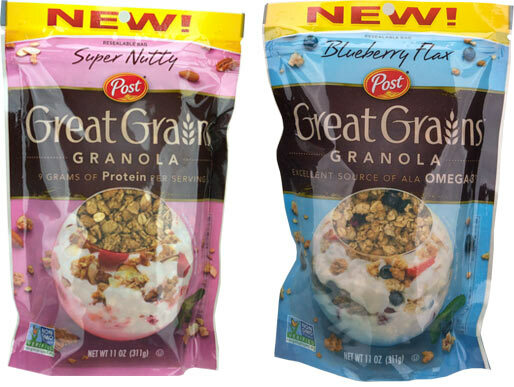 I tried two varieties of Post's new Great Grains Granola: Blueberry Flax and Super Nutty. As is the latest trend with larger cereal companies and their granolas, both of these cereals come in resealable, plastic bag-like packaging. The packages have little clear windows on the front allowing you to see the actual cereal. Through the windows, the granolas looked like there was going to be a lot of loose oats with no clusters. I'm happy to report that when I opened the bags there were plenty of clumped clusters that most of us love to find in granola. The Super Nutty variety actually is super nutty with a few large piece of nuts visible in the mix - like half pieces of cashews. The cereal is really good when eaten dry. It's very crisp and reminded me of eating broken pieces of a Nature Valley granola bar. The granola is toasty and not too dense. The Blueberry Flax variety has a terrific blueberry flavor throughout Flax isn't the least bit noticeable, which I know many will consider a plus. The freeze-dried berries taste completely natural and not at all artificial as they sometimes do in other cereals. The granola in this cereal is sweeter than in the other variety. It has a nice vanilla flavor and it's very lightly toasted. 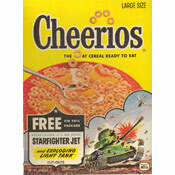 One of our tasters said this cereal reminded them of the topping on a blueberry cobbler. 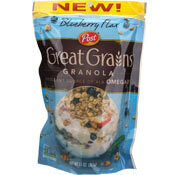 Of the two varieties, I narrowly preferred the Blueberry Flax Great Grains Granola. They were both excellent but the fresh flavor of blueberry mixed with pronounced vanilla put that cereal over the top for me. I recommend you give these granolas a try. Each 1/2 cup serving of Super Nutty Great Grains Granola has 250 calories, 8 grams total fat (1 gram saturated and 0 grams trans), 0 mg cholesterol, 90 mg sodium, 35 grams total carbs, 3 grams dietary fiber, 10 grams sugar and 9 grams protein. 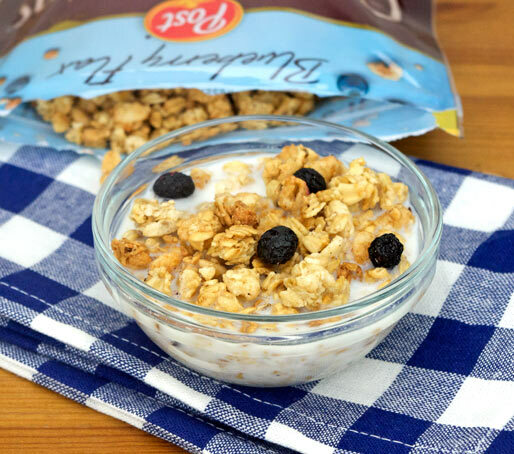 Each 1/2 cup serving of Blueberry Flax Great Grains Granola has 240 calories, 7 grams total fat (1 gram saturated and 0 grams trans), 0 mg cholesterol, 70 mg sodium, 39 grams total carbs, 4 grams dietary fiber, 12 grams sugar and 6 grams protein. The price of 0f $0.00 indicates that samples of cereals were provided to us free from the company. 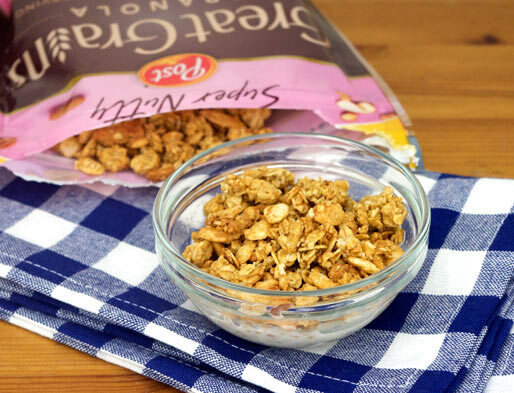 What do you think of Great Grains Granolas? I had the Super Nutty. It's great as a snack (dry or with cashew milk). Great way to get your good fats and some protein.